5 Grand Canyon Camping Hacks You Shouldn’t Leave Home Without! The Grand Canyon National Park offers an expanse of terrain as far as the eye can see and varying flora and fauna not seen to co-exist anywhere else in the world. Depending on your level of camping experience, you can choose from different campground options to meet your needs. Whether you’re the novice nature enthusiast or you consider yourself the ‘enlightened’ camper, you will find the right terrain at the Grand Canyon. 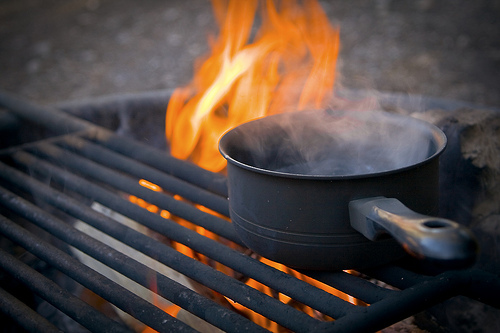 Before you pack those bags and head off into the wilderness, take a look at these top five Grand Canyon camping hacks to make your transition easier! 1. Unfortunately, many novice campers aren’t aware of the inclement weather conditions that can happen at the Grand Canyon seemingly at the drop of a hat. Torrential rains, lightning storms, and freezing weather are just some of the natural phenomena campers can experience. The solution is quite simple: plan your camping trip armed with an accurate weather forecast. In fact, we recommend checking several forecasts to draw the right conclusions. 2. Be aware that there are wild animals in the canyon, and that is true whether you’re hiking, river rafting or simply roughing it at the campgrounds. One of the most dangerous animals campers often come into contact with are snakes. So, do dress accordingly and be aware! Campers are also advised to not feed squirrels and not to interact with deer or elk. 3. Most campers choose to stay at the park with an RV, but depending on the age of your RV, make sure to get it checked over and fixed by a professional mechanic. The same is also true for all other types of road vehicles. The South Rim is home to a basic car repair shop, but should you need extensive repairs during your trip, your needs will not be met. 4. Before you begin your trip, make sure you purchase a detailed map of the Grand Canyon to take with you. In fact, we recommend taking the time to familiarize yourself with different locations and amenities before you leave home. The reason is simple: there are virtually no signs available in the Canyon to point you in the right direction. If you want to find your campground or the bathroom, you won’t see any signage whatsoever. 5. 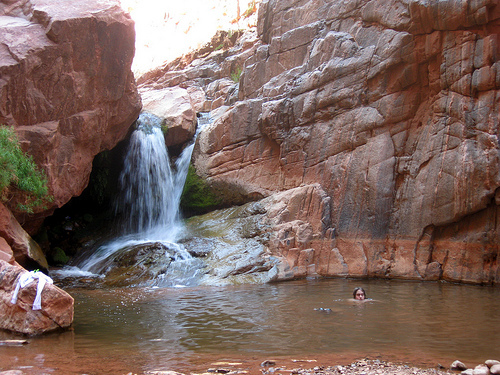 We can’t complete a list of Grand Canyon camping hacks without telling you to arrive at your campground before dark. Arizona is a zero pollution state and darkness is an important part of their identity. The campgrounds, therefore, are pretty much pitch black when you arrive. You can get away with a flashlight, but setting up your tent will take a very long time and won’t exactly nurture a positive relationship with other campers. 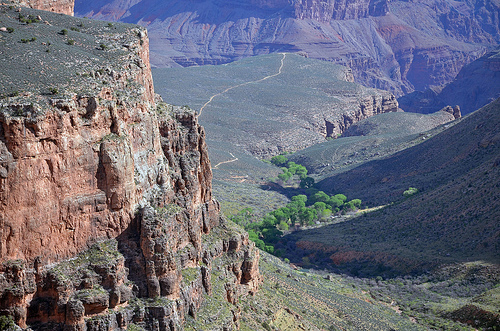 The Grand Canyon is beautiful but also treacherous to campers unaware of the natural risks. The fact remains that the more you educate yourself for your big trip, the fewer mishaps that will plague your stay. 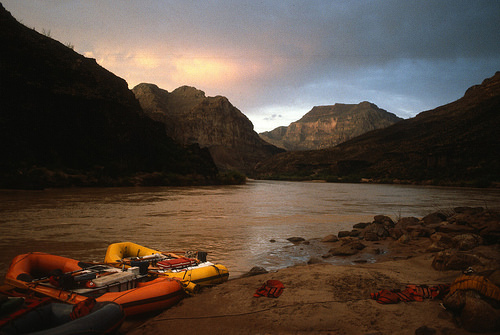 Most importantly, pack everything and anything as the Canyon has very few amenities!